The 1920s, roughly the period between the end of World War I and the Great Stock Market Crash of 1929, is often stereotyped as the Roaring Twenties. Many Americans think of it as the era of the flapper, bathtub gin, organized crime, the Model T, "talking" movies, and the Charleston. Americans, recoiling from the horrors of World War I, turned their attention away from the reforms of the Progressive Era and focused on themselves. Presidential candidate Warren Harding promised a "return to normalcy" and President Calvin Coolidge told the nation that business, not peace or social reform, was America's "business." But, as the novels of Hemingway, Fitzgerald, and Stein prove, it was also the time of deep disillusionment, the era of "the lost generation." Contradictions surfaced across the nation. African Americans celebrated African American culture with the art, literature, and music of the Harlem Renaissance while membership in the Ku Klux Klan increased dramatically. Spurred on by excess patriotism generated by World War I, the federal government led unconstitutional raids on its critics (the Palmer raids) and the newly formed Bureau of Investigation increased surveillance of American immigrants. Women won the right to vote in 1920 and entered colleges in record numbers at the same time that they were encouraged to work only within the home and to withdraw from political activities. Farmers, whose incomes had risen dramatically at the end of WWI, saw their incomes drop just as dramatically by the middle of the decade. Herbert Hoover's 1928 presidential campaign called for "a chicken in every pot and a car in every garage," but within eighteen months of his election, millions of rural Americans and unskilled laborers were on the edge of economic ruin and the stock market would crash. Confused by these contradictions, many Americans turned back to their faith for answers, giving rise to a new fundamentalism and a breed of charismatic preachers and faith healers. 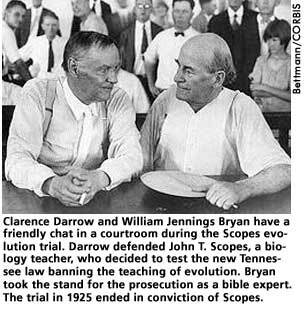 Public discussions of faith challenged legal and political systems throughout the decade as the teaching of the theory of evolution dominated Dayton, Tennessee, court rooms (the Scopes trial) and New York Governor Al Smith became the first Catholic presidential candidate. ER entered the Twenties on the campaign trail with FDR, the Democratic vice-presidential nominee, and ended it as one of the key Democratic leaders in New York State, dividing her time between teaching and organizing in New York City and presiding over social events and political receptions in the governor's mansion in Albany.